NMR for metabolomics studies of Crataegus rhipidophylla Gand. Crataegus products for food, nutritional, and pharmaceutical uses are available over the counter in the global market. The aerial parts are enriched with biochemicals and are used to treat cardiovascular, respiratory, and liver disorders and cancer. Detailed study to understand the chemical composition and different levels within medicinally important plant tissues needs hours, such as plant response for metabolite flux and quality control purposes. Therefore, comprehensive metabolite profiling (qualitatively and quantitatively) of different tissues [leaves, flowers, stems, fruits (without seeds), and seeds; n = 5] of Crataegus rhipidophylla Gand. was performed by NMR techniques in one session. Fifty-eight compounds of different classes were unambiguously identified with the use of 1D and 2D NMR techniques (1H, 13C, distortionless enhancement by polarization transfer with 135° angle, correlation spectroscopy, heteronuclear single quantum coherence, heteronuclear multiple bond correlation) and quantified by a relative quantification method. Chemical compounds such as amygdalin (seeds), rutin (flowers), isovitexin (fruits), shikimic acid (leaves), and epicatechin (stems) were identified as authentication as well as discrimination markers for the respective C. rhipidophylla tissues. The fruits contain a significant mixture of important metabolites, followed by flowers and leaves. Trends of metabolite levels, upregulation, and downregulation in plant tissues were found, which highlights the responses of plant tissues in a specific time. 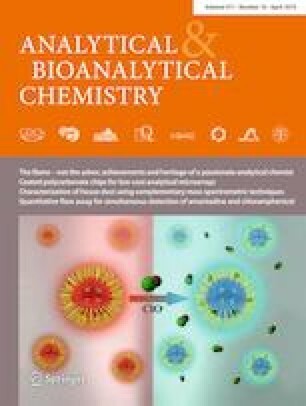 NMR-based comprehensive metabolite information was used to develop the chemical signature, quality control chemical markers, and strategies to understand the chemical diversity of C. rhipidophylla. This chemical information from different aerial tissues will provide guidance for the extensive utilization of Crataegus. The online version of this article ( https://doi.org/10.1007/s00216-019-01646-z) contains supplementary material, which is available to authorized users. The authors kindly acknowledge The Director, Council of Scientific and Industrial Research (CSIR) Institute of Himalayan Bioresource Technology (IHBT), Palampur, for support and infrastructure. The authors also acknowledge Dharam Singh for the collection of plant material from Pangi region of Himachal Pradesh, India, and Brij Lal for authentication of plant species. This activity was supported by the Science and Engineering Research Board, Department of Science and Technology, New Delhi, under the Fast Track Scheme for Young Scientists (SB/YS/LS-81/2014) and the CSIR (MLP 0203). The CSIR IHBT publication number for this article is 4172.